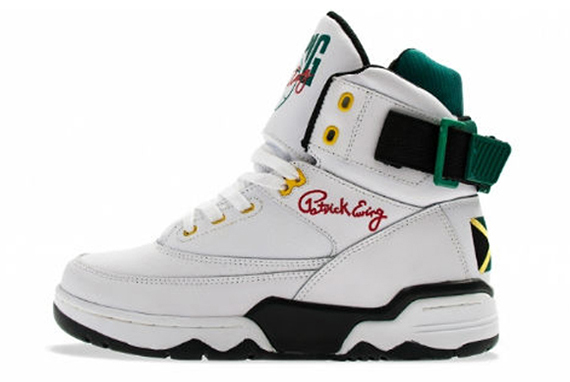 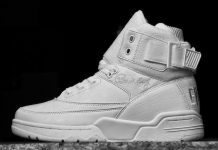 Ewing Athletics enjoyed a successful re-release of the popular Ewing 33 Hi. 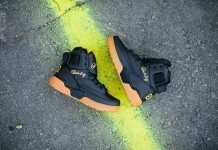 The 4 OG colorways all were met with positive reaction and excellent sales. 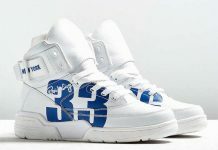 EA has parlayed that success into new colorways for the model. 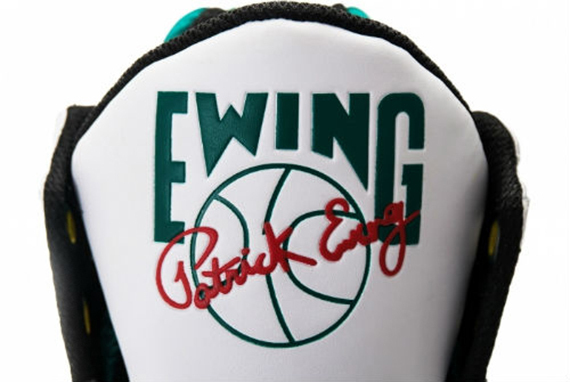 Here we get a look at the “Jamaica example which is constructed in honor of Patrick Ewings home country. 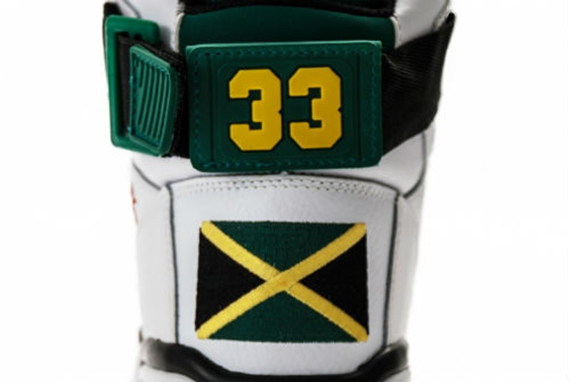 The shoe takes a simple approach with a white leather upper that adds black,green, and yellow accents as well as Jamaican flag stitched into the the heel. 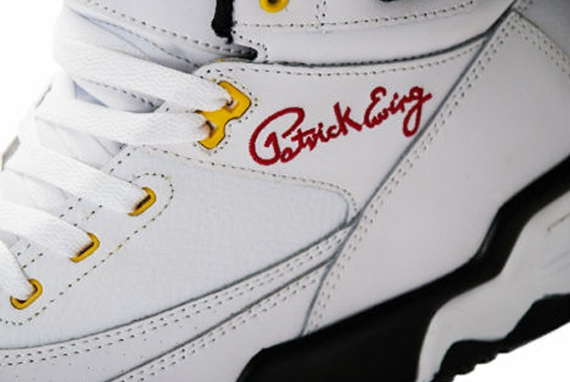 Keep it locked at Modern Notoriety to find out all about the release details for this Ewing Hi.